Here’s a little breakfast that’s not only pretty to look at, but will keep you going all morning! Packed with hearty oats, yogurt and fruit with a touch of honey for sweetness, I promise you’ll feel more and more American with every spoonful. May your Fourth of July be happy, healthy, and delicious in every way! Toppings of your choosing: Fruit (I chose bananas, blueberries, and strawberries for the holiday!). chopped nuts, nut butter, dried coconut, dried cereal, etc. Cook oatmeal by adding raisins, milk, and 1/4 cup water and microwaving for 1 1/2 min. Stir and sprinkle in cinnamon, if using. Stir together plain yogurt and honey for sweetness. 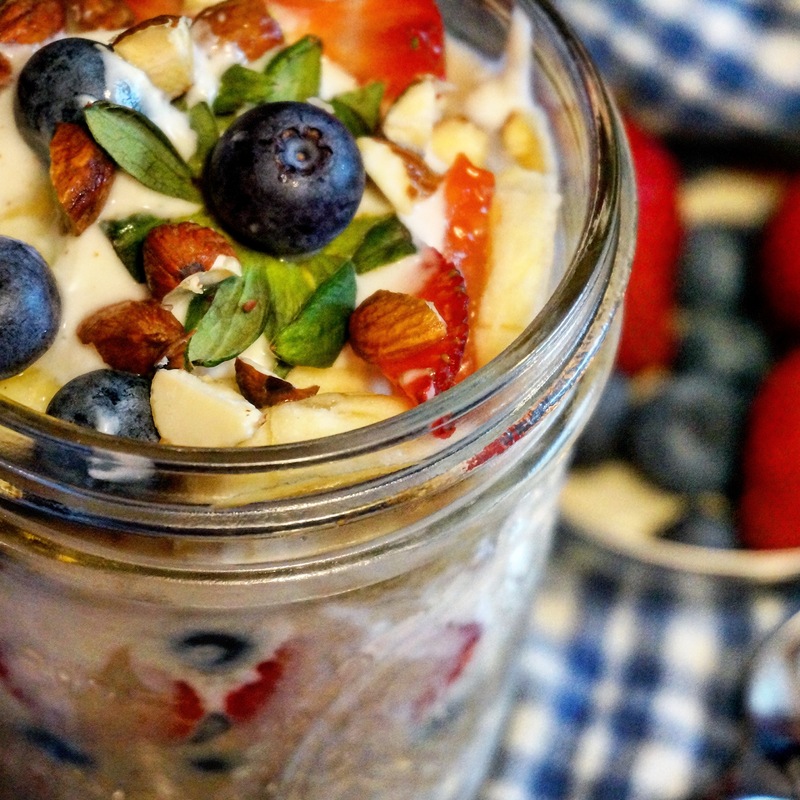 In a mason jar, layer fruit, oats and yogurt, finishing with a yogurt dollop on top. Top with chopped nuts and other toppings.